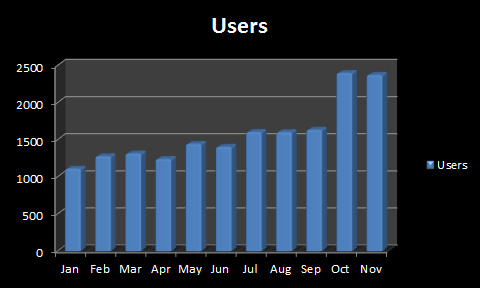 Users: average grew from 1235 (Q1) to 2390 (Q4TD) – near double. 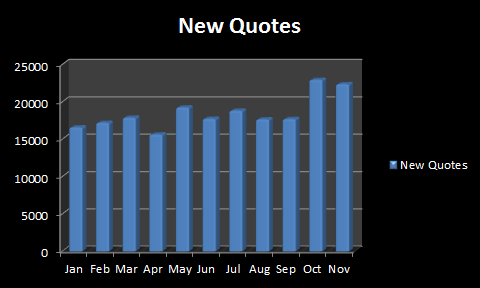 Total New Quotes Jan to Nov: 204,000. Value of Saved Quotes c.$300,000,000 (does not include revenue from New Quotes not Saved). December 2012 is not yet over but New Quotes per Week saw a new all time record at nearly 6000 in a week. Thanks to all of our customers and users.